f. 1r-15v: Homily for the Eve of Hanukah delivered for the pious society Limud ha-Talmidim. 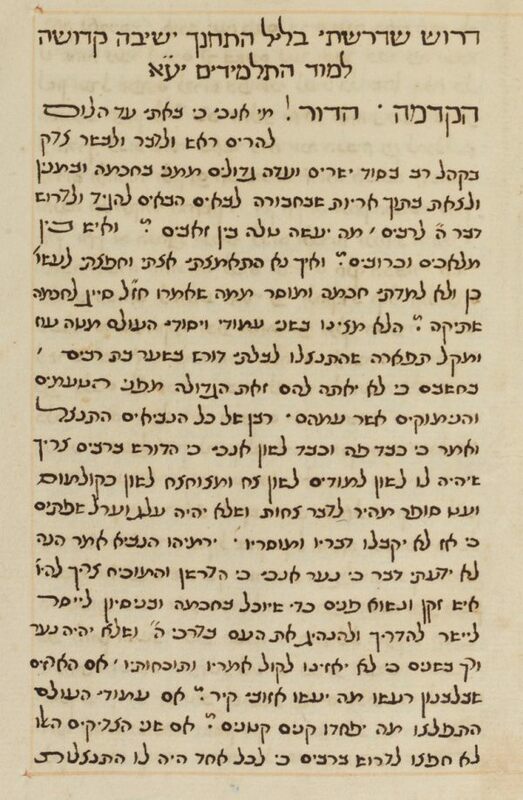 f. 16r-25r: Halakhic homily delivered for the learned society Pilpul ha-Talmidim. f. 25v-26r: Hebrew poems composed for a dinner party of the pious society Pilpul ha-talmidim. f. 26v: Hebrew poem by Abraham Hezeqiah Basan. Hebrew / Paper / 20,9 x 13,4 cm. /  ff. / Sephardic cursive writing with square headings (autograph) / No title / Text written in frame ruled with red ink.